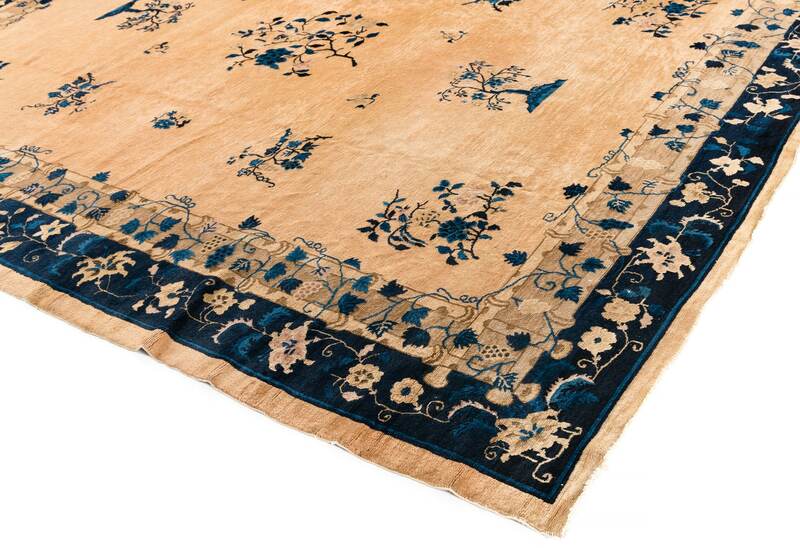 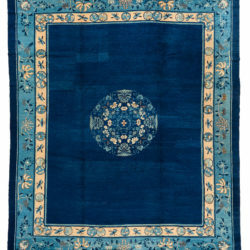 Chinese Rugs / Antique Chinese 9'1"×11'6"
This room size antique was woven in China toward the end of the 19th century. 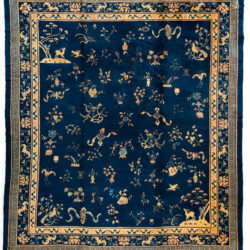 It features floral and landscape imagery in navy and blue on an ivory background. 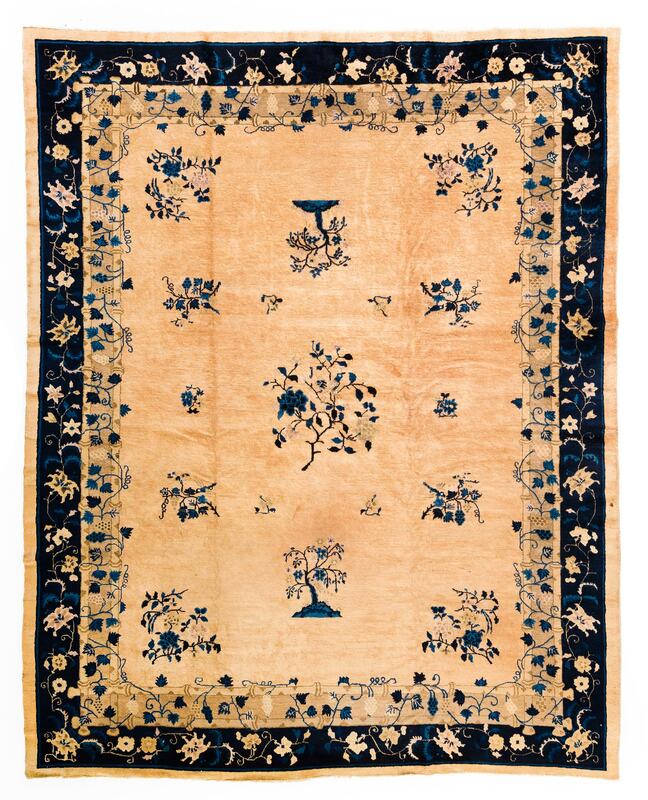 The two borders in ivory and a deep navy offer and intricate winding floral motif.